Wrapped around by the Niagara Escarpment, a UNESCO World Biosphere Reserve, the Beaver Valley forms a unique microclimate. The Beaver River meets up with the Boyne River at the south end of the valley, just west of Eugenia, and meanders 40 km to Thornbury at Georgian Bay. 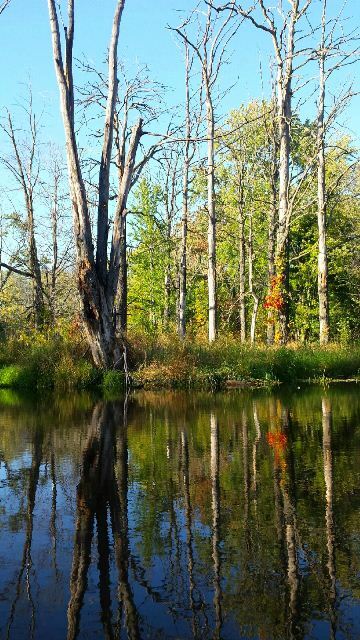 For some of its course, the Beaver River runs through a heavily wooded swamp dominated by silver maple, black ash and trembling aspen – one of Ontario’s best-preserved hardwood swamp ecosystems. Ostrich ferns line the banks, and wildlife is abundant. Wood ducks, hooded mergansers, green herons, great horned owls and snapping turtles are regularly seen on the Beaver. The river is a popular canoe and kayak route, especially in spring, when it attracts whitewater enthusiasts. The valley itself was formed by a much larger river hundreds of thousands of years ago, and subsequently smoothed and widened by glaciers. Old Baldy, on the eastern rim of the Beaver Valley near Kimberley, is an arch-shaped dome of Amabel dolostone – the hard rock that caps much of the Niagara Escarpment in Grey County. 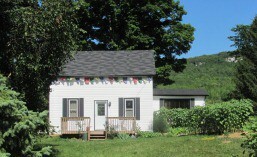 Old Baldy viewed from the house. Old Baldy illustrates the erosional processes that formed the Niagara Escarpment in the past, and continue to sculpt it today. Large blocks of rock have separated from the main cliff. In fact, Old Baldy itself is gradually separating from the main Escarpment. Along the cliff edge at Old Baldy, hikers pass through a forest dominated by eastern white cedar and mountain maple. The forest floor supports a sparse understory of common polypody, marginal shield fern and bulblet fern. Just back from the cliff edge, a deciduous forest of sugar maple with white ash, beech and basswood predominates, with ferns, wild ginger and wild leek beneath. Nineteen species of ferns have been recorded at Old Baldy. Marsh marigold in the wetland behind the house. From the cliff you will see turkey vultures and red-tailed hawks soaring in summer, and about 100 resident and migratory birds live or pass through the valley, including barn swallows, goldfinches, northern orioles and many varieties of warblers. You are more likely to hear rather than see the shy black-billed cuckoo – these birds account for the valley’s older name, the cuckoo valley. 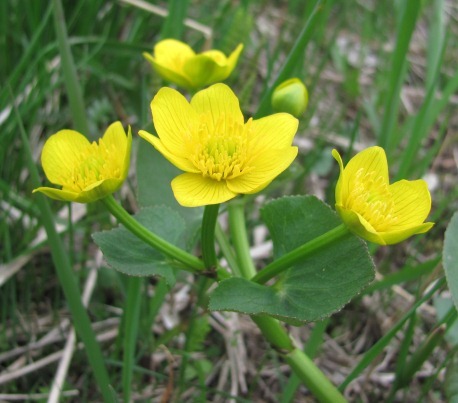 The fields and forest are filled with a wide variety of wildflowers, including trilliums and marsh marigolds. Just north of Kimberley there are several access points to the Beaver River, which provides a meandering canoe route and fishing for brown trout, brook and rainbow trout in season. The valley still contains many farms, although some lands are only used for cattle grazing. The valley produces 25% of Ontario’s apple crop. The Bruce Trail encircles the valley, and provides many access points for short or longer hikes. You can view numerous waterfalls and streams, as well as some of the only old growth forest on the Bruce Trail, as well as the rich diversity of the Niagara Escarpment.